If your order weighs less than 13 ounces, save huge on shipping with USPS first class (with tracking number). This product weighs 3.2 oz. 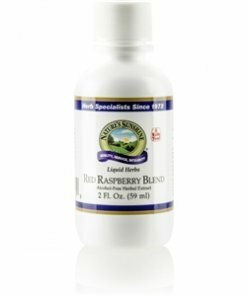 Nature’s Sunshine Red Raspberry has astringent compounds to aid in the reproductive system, along with supporting digestion. Raspberry leaf has been used in a tea for years to naturally tone the uterus and aid in the birthing process. 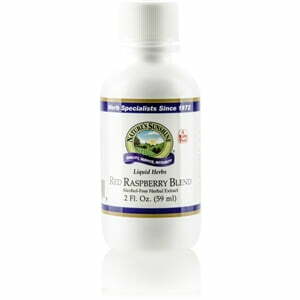 Nature’s Sunshine Red Raspberry Liquid also contains antioxidants. Instructions: Adults: Take one-half to three-quarters teaspoon (2.5 to 3.75 ml) in water with a meal three times daily. Children: Take one-quarter to one-half teaspoon (1.25 to 2.5 ml) in water with a meal three times daily. For tea, use one-half teaspoon (2.5 ml) in a cup of hot water. A natural and pure extract composed of peppermint leaves (Mentha piperita), rose hips (Rosa canina), hibiscus flowers (Hibiscus sabdariffa), and red raspberry (Rubus idaeus) leaves in vegetable glycerin.